Find and eliminate! 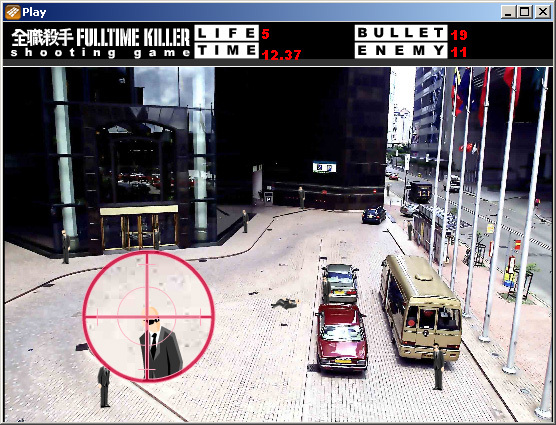 Sniper ambush is a free shooting game of the new generation. ...... After completing the test job, you will be going out to take down some important figures in the world of drugs, weapons and money laundering. Your sniper is your friend, your only friend and a thin line between life and death! Sniper ambush is a thrilling sniper attack game. It is an awesome gaming experience! Firstly you get a trial job, where you have to kill all bodyguards of a notorious Mr. Wang. This is your initialization, you have to kill them all in shortest period of time if you want to be accepted into a group of full time killers, a professional group of mercenaries where the stakes are high, but the reward is worth it! You are equipped with a stat of the art sniper technology and ready to kill! Snipe incriminating evidence from your PC. Keep the data you need! Sniper Osama is a Sniper game that will test your sniper skills to the maximum. Here is your chance to take on hundreds of alien spaceship and blow them up. Snipe eBay Auctions with this auction sniper and bid tool. Qweas is providing links to Sniper Ambush 2.0 as a courtesy, and makes no representations regarding Sniper Ambush or any other applications or any information related thereto. Any questions, complaints or claims regarding this application Sniper Ambush 2.0 must be directed to the appropriate software vendor. You may click the publisher link of Sniper Ambush on the top of this page to get more details about the vendor.